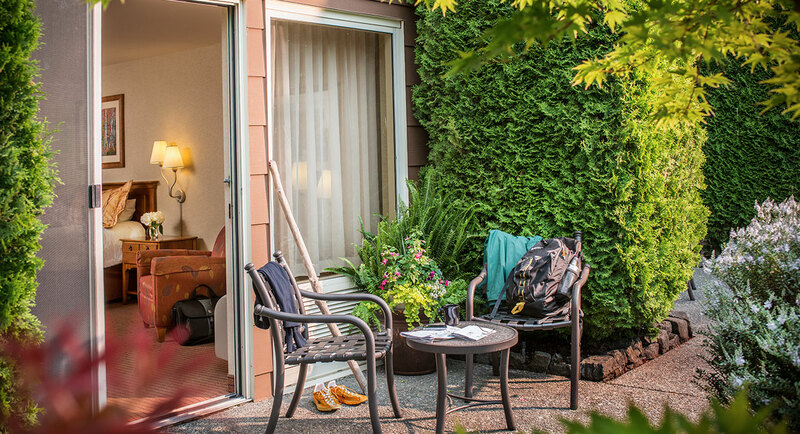 As one of the most comfortable, rustic and charming hotels on the Olympic Peninsula, the Olympic Lodge in Port Angeles, Washington provides a variety of amenities such as free parking, flexible meeting space, complimentary Wi-Fi access, a pool and a hot tub. 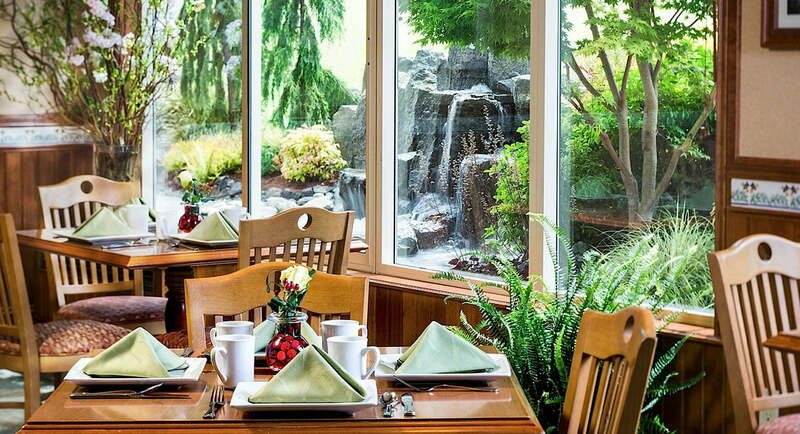 From the Whistling Frog's tasty breakfast service and a 24-hour front desk to convenient concierge and business services, the Olympic Lodge has everything you need for a relaxing escape in Port Angeles. Book direct through our website for the lowest rates - guaranteed! 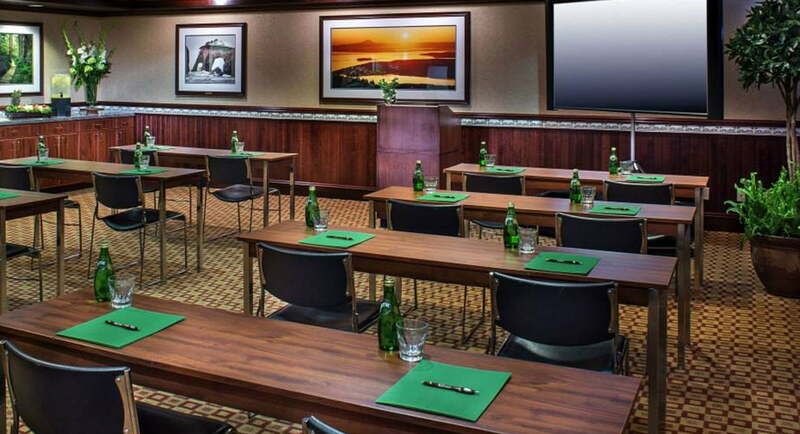 Our Crescent Room has a projector screen and offers 728 square-feet of flexible meeting space that can be arranged in u-shaped, banquet, and classroom styles. Our Storm King Room is ideal for smaller meetings of up to 12. 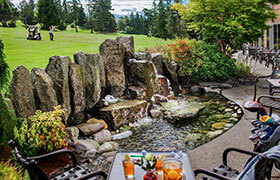 Our meeting spaces are ideal for small business functions, group gatherings, company retreats, and special events. 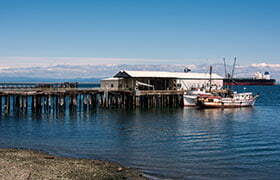 Contact us at 360-452-2993 for all of your meeting or event needs. 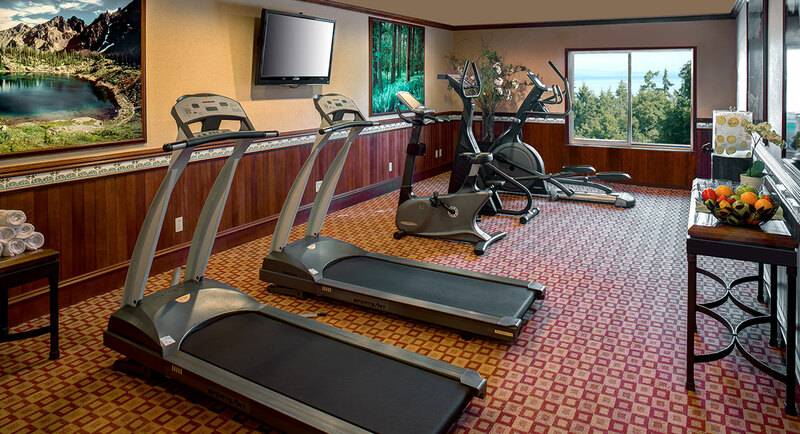 If you feel like keeping up with your fitness routine, work out in our 24-hour fitness center whenever you have the urge. It is fully equipped with everything you need to feel energized and healthy during your stay with us. Our beautifully landscaped grounds and outdoor common areas are carefully maintained at all times so that our guests can relax and surround themselves with natural beauty whenever they step outside their room door or onto their private balcony. 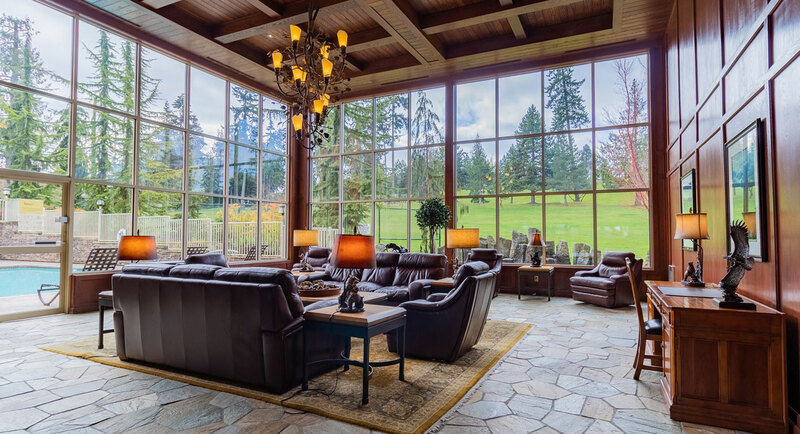 Sit around a cozy wood-burning fire on cold evenings, make new friends, share stories, and gather together in our comfortable seating areas in our elegantly furnished lobby. 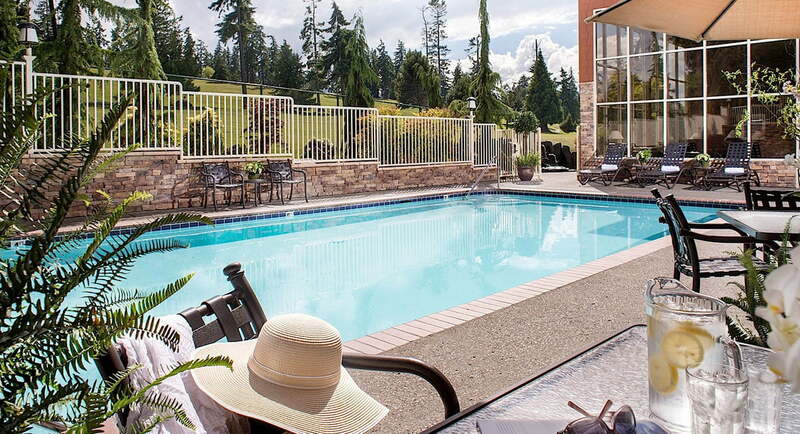 After a long day of exploring Port Angeles, guests can take a dip in our sparkling outdoor heated pool and then relax tired muscles with a long soak in the hot tub, open year round. 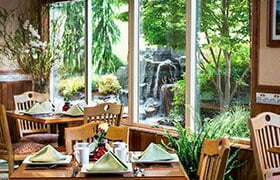 Every morning, from 6:00 a.m. to 10 a.m., we offer a full breakfast service in our on-site restaurant, the Whistling Frog. Come down to enjoy our delectably crafted dishes, using fresh, organic, and locally sourced ingredients. See our menu for all the excellent breakfast options we offer. A kid-friendly menu is also available for the little ones in your life. Enjoy ultimate convenience with our free Wi-Fi and parking. 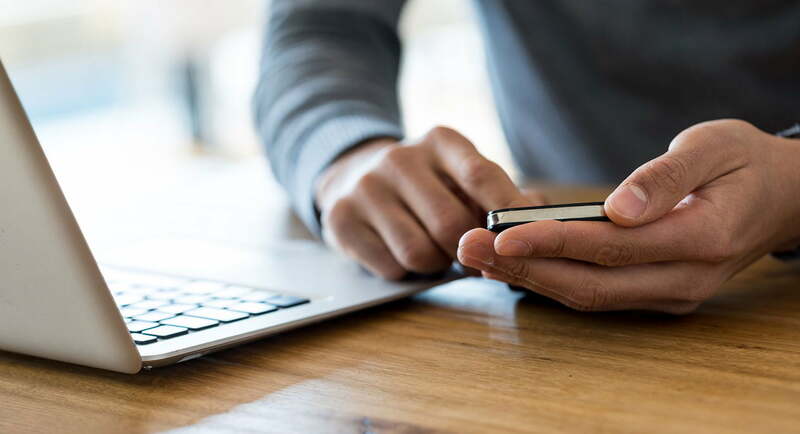 When you stay with us, know that you can count on a reliable internet service, as well as a secure parking spot. 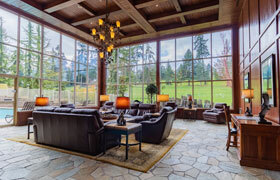 Surf the web, check email, or watch videos with high-speed wireless internet throughout the entire property.